What does ‘One Belt, One Road’ have to do with Hong Kong? 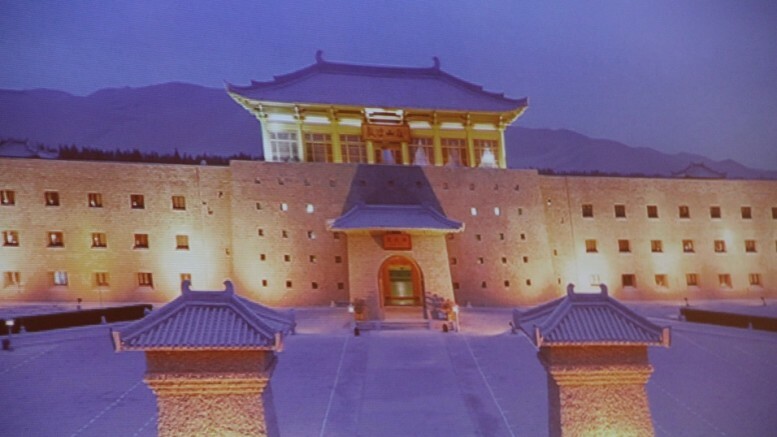 A hotel project launched by a Hong Kong businessman in Duanghuang is among the first business ventures to explore opportunities in Silk Road cities. The term “One Belt, One Road” has appeared 42 times in the 2016 Policy Address delivered by Chief Executive Leung Chun-ying last Wednesday. A conventional rule of the Hong Kong Government is that a policy “is finished” if officials no longer talk about it. That is why Leung did not talk about political reform in his speech. That “One Belt, One Road” was mentioned 42 times means that is very important. It is important because it is a new national development strategy raised by President Xi Jinping. China hopes to promote regional cooperation, modelled on the ancient “Silk Road”, with countries along the land and sea routes to solve their bottleneck problems in economic development. They include excessive production capacity and limitations in market. At a deeper level, China hopes to extend their influence through the strategy to boost their say in the regional and strengthen their leading status in geopolitics. China took the first step to make their presence in international politics in 1971 when it resumed its membership in the United Nations and became one of the Permanent Five. It is a landmark development in China’s political and economic development and influence in world affairs. In 2000, China’s entry to the World Trade Organisation has turned the nation into “The World Factory.” Thanks to free trade, the “Made in China” products have landed on most countries. China became the world’s second-largest economy. On both occasions, the two bodies, namely UN and WTO, have been established before China’s entry, with the rules already in place. China is only a member of them. “One Belt, One Road” is different. It is advocated and spearheaded by China. China plays a leading and decision-making role in the implementation, functioning and formulation of details. “One Belt, One Road” policy is state act. Hong Kong takes part to coordinate with the nation’s policy. But what role Hong Kong plays in the big chessboard of “One Belt, One Road”? Although Leung has mentioned “One Belt, One Road” 42 times in the policy address and personally leads a task force, what exact role Hong Kong plays? There is no answer in the Policy Address. Hong Kong has a role in fund-raising and trade already. Under “One Belt, One Road,” is there new task Hong Kong has to fulfil? There are more than 65 countries along the “Belt and Road”, with a total population of 4.4 billion and an aggregate scale of economy totalling US$21 trillion. There is huge economic potential. But some regions such as Central Asia, West Asia, Eurasia and East Europe are markets that Hong Kong are not familiar with. Hong Kong is not strong at key areas in the “One Belt, One Road” plan including high-speed railway, exploration of resources and metal furnace. “One Belt, One Road” should not be a mere geographical concept. It needs top-layer design and governance structure. Although Hong Kong has been active in participating, there is not much practical work we can do. Chan King-cheung is a veteran journalist. He writes on political and economic issues in Hong Kong and China. This article was translated from his regular column in the Chinese-language Ming Pao. Be the first to comment on "What does ‘One Belt, One Road’ have to do with Hong Kong?"